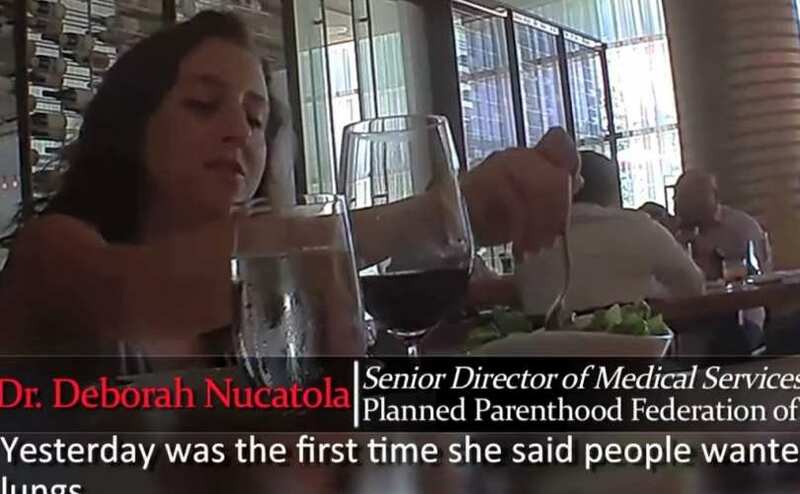 One day after Congress announced an investigation into Planned Parenthood in light of a now viral video showing how Planned Parenthood sells the parts of aborted babies, several states announced investigations into the abortion giant. Today, Ohio, Indiana and Georgia vowed to investigate Planned Parenthood’s abortion practices, joining Texas and Louisiana. In Ohio, where state law explicitly prohibits the sale of aborted babies, Attorney General Mike DeWine’s office said it will subpoena records for Planned Parenthood’s offices. A potential black market for the sale of aborted babies was unearthed this week, and it is critical that Ohio responds swiftly to ensure that such a horrendous practice does not exist within our borders. The ban on the sale of aborted babies has been on the books since 1974 and has withstood the test of time. Yet Planned Parenthood has found a way to remove the last shred of dignity for the unborn baby by selling their body piece by piece. As with the case of Kermit Gosnell, abortion once again has surfaced in the American conscience as something gruesome and inhumane. As much as we wish this story weren’t true, we know what abortion is. We know the pain and trauma that it causes for over 23,000 babies in Ohio. And we know the lengths Planned Parenthood will go to make a profit off of a vulnerable woman and her unborn child. We thank the Attorney General for taking a stand for human life in Ohio. Indiana’s announcement came when Governor Mike Pence announced on a local television station that he had also ordered an investigation into Planned Parenthood to determine whether any Indiana affiliates have sold the body parts of aborted babies. These investigations are likely the tip of the proverbial iceberg, as the news spreads across the nation. Governors of other pro-life states are likely to announce investigations in the coming days. 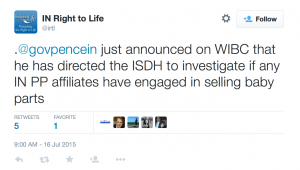 This will be one scandal Planned Parenthood cannot dismiss as simply being misunderstood.